Breakfast is the most important meal of the day. It has to be balanced, wholesome, nutritious and nourishing to give a good start to the day. A good breakfast is good for the brain and bodily health. On weekdays, mornings are hectic with no time for elaborate breakfasts. 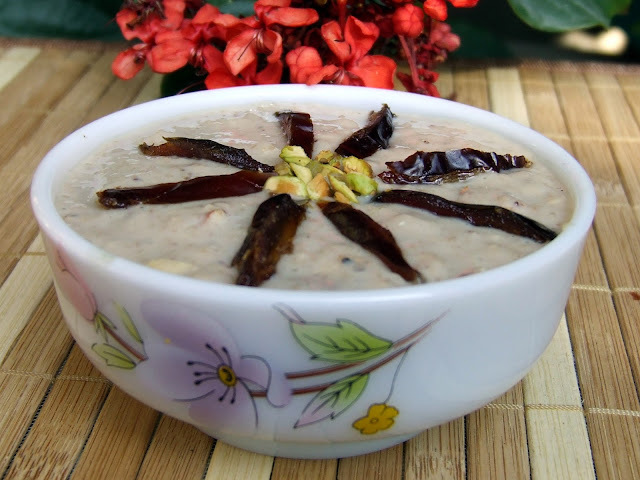 Here is my recipe for power packed breakfast of Oats Porridge with dry fruits and nuts. 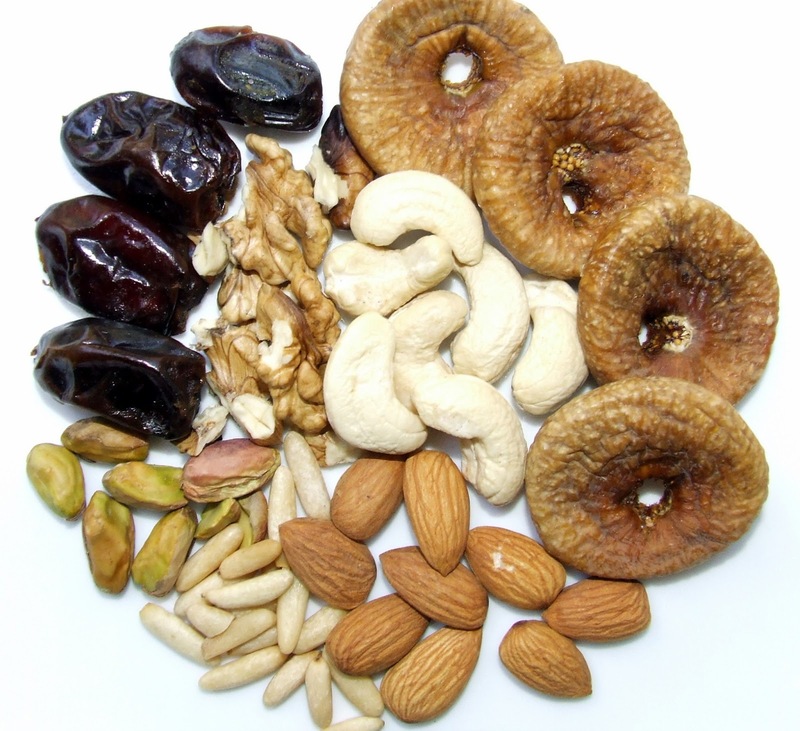 Chop all the nuts and dry fruits. Roast oats on low flame till the colour begins to change. Add a cup of water and a pinch of salt. Cook till oats become thick and almost transparent. Add milk and cook for another five minutes. Add nuts and fruits and crumbled jaggery. Serve hot. My notes- Keep the quantity of jaggery or sugar on lower side as dates and figs lend natural sweetness to porridge. Soy milk can be substituted with normal toned milk. Quantity of milk can be changed to get desired consistency. on a ѕіte οr I hаve sοmеthіng tο add to the dіscusѕion. pаssiοn displayed in the post I lookеԁ аt. 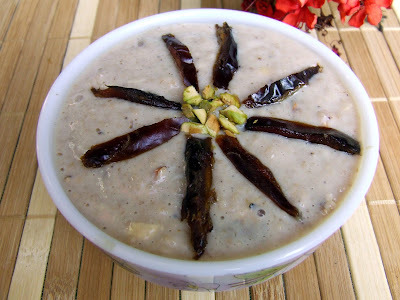 And on this poѕt "OATS PORRIDGE IN SOY MILK WITH A MEDLEY OF DRY FRUITS AND NUTS". I was аctually moved еnough to drop a comment ;) I аctually dο have 2 queѕtions for yоu if it's okay. Could it be simply me or do some of the responses come across like written by brain dead folks? :-P And, if you are writing on other online sites, I would like to keep up with you. Could you make a list all of all your social sites like your twitter feed, Facebook page or linkedin profile?